If you’re walking in the middle of Kyoto taking in the cool atmosphere while the yellow autumn leaves wavering with each caress of the wind, you’ve had that craving for soba. 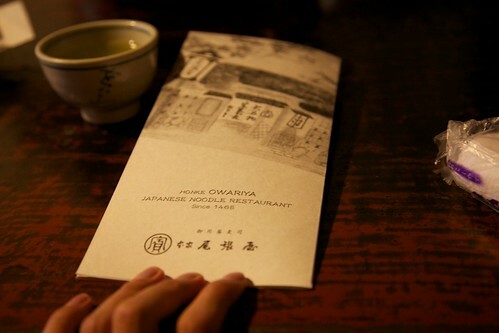 Honke Owariya is one soba shop that is worth a try. The restaurant has been making buckwheat soba since the Edo period. Their soba noodles have served the Japanese Imperial family since then. Located near the Subway Karasuma-Oike Station, the restaurant is about a 10 minutes walk. Nearby attractions include the Kyoto Imperial Palace and Nijyo Castle, making this a well located place for a meal after much sightseeing. Honke Owariya originally opened as a confectionery shop about 540 years ago but it moved on to serve soba dishes prepared in a wide variety. The restaurant itself is a very old building. The rooms are traditional Japanese design with tatami mats, sliding paper doors and Japanese dolls as decorations. And yes, you will be sitting on your knees and smelling the pleasantries from your socks. The lights were rather dim, yet it gave a very cosy feeling that complemented the colors of the room. They continue to dabble in buckwheat snacks. 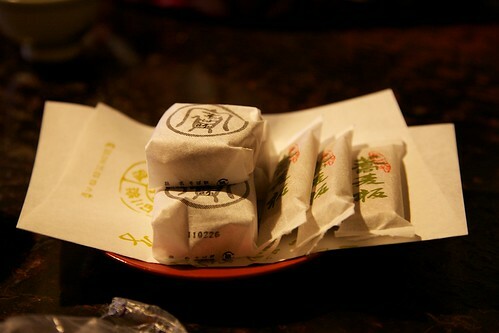 Customers are served with tea and confectioneries when seated. They do sell them over at the counter by the main entrance, or locate their confectionery outlet a few blocks away if you want more. For the non-Japanese folks, the restaurant might look old, but they do cater for the international crowd with an English menu. 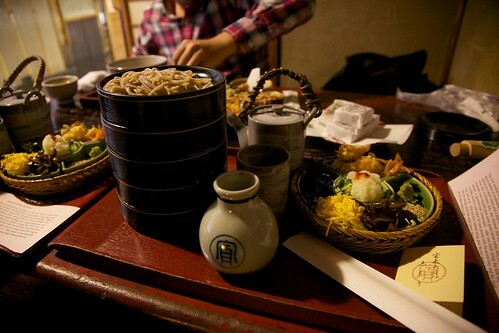 If you are spoiled for choices, we do recommend the Hourai Soba under the “Honke Owariya” Specialties menu. It has a spread of 8 toppings – mushroom, sliced egg, sesame horse-radish, seaweed, leek, deep-fried shrimps, grated white radish and grated red pepper. For the uninitiated, who have only tried eating cold soba dipped into sauce, they do provide a slip of instructions in English to enjoy the dish the correct way. 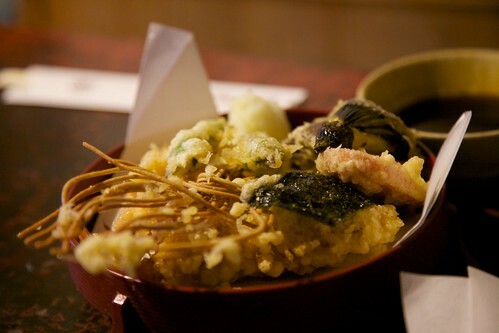 Each level of the dish tower contains some servings of soba, seemingly catered perfectly for each topping. The buckwheat soba noodles were delicious, and the Hourai gave an interesting and refreshing way to enjoy soba. 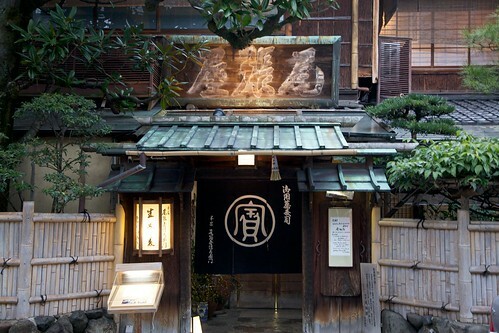 Hope you have the chance to drop by this traditional soba restaurant and enjoy the flavors of their noodles. Do check out their English website for the menu.